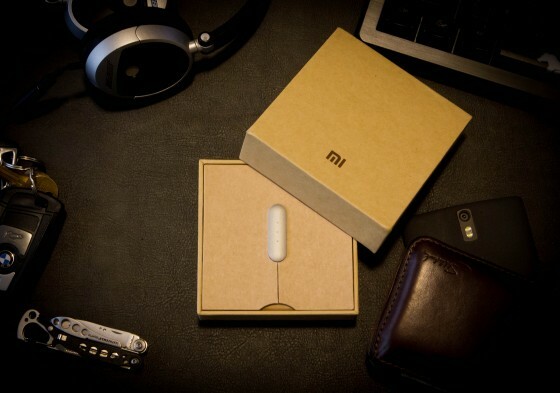 You might never have heard of Xiaomi before today but don’t be fooled. They aren’t some small backstreet company that makes a small range of devices. Neither are they a tiny company that has come out of nowhere. Xiaomi is the third largest smartphone manufacturer on the planet peeking just behind Apple and Samsung with no less than 5 smartphones and phablets, headphones and even their own streaming TV device. And just like the big players in the West, they decided to join in on the wearables game by coming up with their own. The MiBand, designed to take on the FitBits and Garmins of the world, is the only fitness wearable the company makes which might seem surprising when companies like FitBit have no less than 6 wearable fitness trackers, a full TV ad campaign, and posters in the local airport. It might seem even more surprising when you find out that Xiaomi is currently the second biggest manufacturer of wearables in the world! “So what’s the difference between that and my fitbit?”, “Oh, about a hundred dollars”. You might find yourself repeating that more than a few times when you start wearing this. The MiBand is priced at a mere $14.99 direct from the manufacturer. Amazon offers it to Prime customers for $25, and sites like TinyDeal.com regularly offer it for less and with free (or nearly free) shipping. It gets better. Despite the price point, the MiBand itself feels incredibly sturdy, has LED indicators, Bluetooth, and a Vibrate Motor packed inside, as well as one of the longest lasting batteries of any fitness band out there, plus an IP67 rating meaning it’s safe to be immersed in water of depths up to 1 meter. That’s not quite as good as the Fitbit Flex which can be immersed up to 10 meters or 1 ATM, but for $15-25 it’s hard to complain when you don’t even have to take it off to shower. Even with the $15 price point the device isn’t ugly. The ‘puck’ sits at just under an inch and a half long comprising of brushed stainless steel complete with a polished edge and fairly solid feeling black plastic for the rest of the unit. The three color adjustable LED lights are almost indistinguishable from the rest of the device. There’s plenty of color choices as well. Tangerine, Pink, Green, Blue and Black silicone wristbands line up the choices with many more available from third parties. Perhaps the most impressive thing about this is the battery life. With Xiaomi quoting 30 full days before it needs a charge with our real world unit lasting a few weeks beyond that! The software is equally impressive. Its available for both Android and iOS. Aside from the regular pedometer there’s a sleep tracker as well as an alarm function that uses the in-built vibrate motor. The band also vibrates to let you know about incoming calls and if you’re on android a customized version of the app can be found that notifies you for just about everything and on top of that the app offers native support for both Google Fit and Apple Healthkit. In the two months we played with it the app had very few downsides as was near flawless. 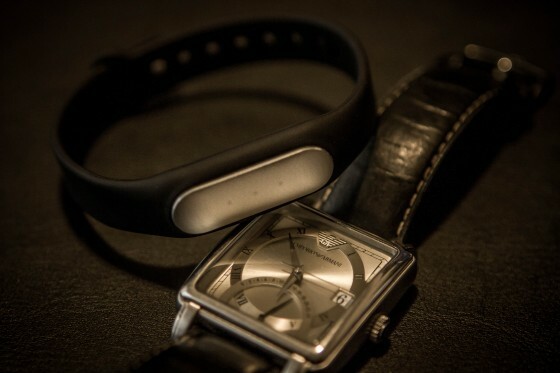 Both updates for the app and firmware updates for the band itself were pushed almost every month with new features being tucked in almost every time. The most recent updates integrated support for a set of smart weighing scales newly offered by the company. About the only frustration we had was that the detail view showing your sleep and step activity by hour isn’t available for anything but the current day or most recent sleep cycle recorded and for those of us who like more integration than Google Fit or Apple Healthkit applications like MyFitnessPal are missing the integration entirely. Despite these minor setbacks it’s hard to see a reason to not buy one of these. Simply put the product works and it works well. It does it arguably better than some of it’s more expensive competitors and does it in a very sleek lightweight package that doesn’t stick out like a sore thumb when placed with your more regular fashionable jewelry. And at this price point, it’s cheap enough to replace if you destroy it. Check out the gallery below for more shots of the MiBand and it’s App, and if you tried one out yourself let us know what you thought in the comments below! With no call notifications or vibrate alarms and lighter overall physical activity, the battery stretched out almost two months. Mark is an IT Professional with multiple years of experience in all aspects of IT infrastructure from Storage to Servers, BYOD to Backups and everything in between. As well as a semi professional photographer, Mark is an avid technology enthusiast in a way that makes the term 'power user' seem mild.